The Plan Room, powered by BuildingConnected, is an online service that acts as a point of contact for subcontractors and provides access to plans and specifications for projects that are currently in the process of receiving competitive bids. Using BuildingConnected, subcontractors are able to submit proposals on upcoming projects, receive updates and notifications, and note their status as either “bidding” or “undecided.” All project documents are kept in one easily accessible, central location where they can be searched and downloaded. The process is simple: a subcontractor is invited to submit a bid on a project, sent a follow up e-mail, and then asked to register by completing some basic company information. 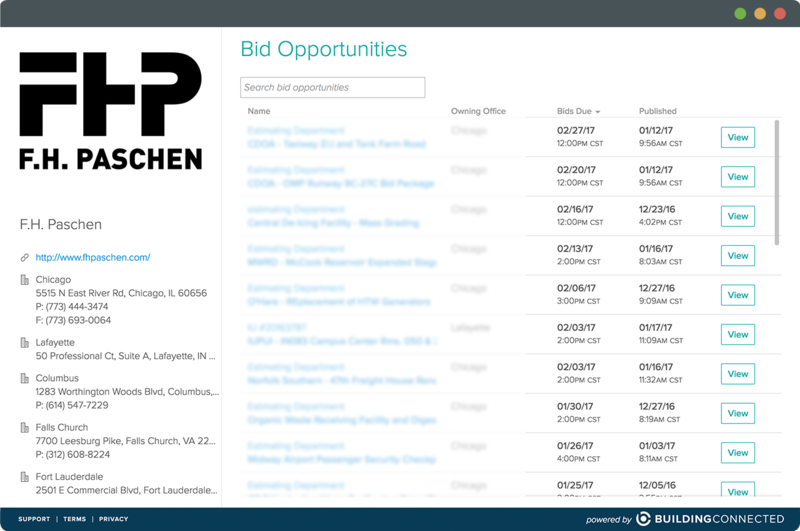 Once signed up, subcontractors have access to the bid documents associated with each project invite, receive notifications of all new documents (clarifications, addenda … etc.) as they are posted, and are able to update their bidding status.